- Activ Absence management software automates many everyday tasks, freeing up your personnel to work more productively. - Adapts to all work patterns including overtime, part-time, shift workers, seasonal employees etc. - One-click approval or refusal. - Secure log-on via PC or Mac from any location with internet access. - Email alert system to warn of key staff absences. Manage the return to work process. - Simple generation of reports, charts and analyses of absence levels and costs. - Simple 'Point and Click' system for holiday booking. - Uses the Bradford Factor for impartial identification of absenteeism. - Web calendars for synchronisation with outlook or WebCalendar on the Mac. How does Activ Absence compare with other HR & Employee Management apps? There are currently no reviews of Activ Absence. 25 Silliest Excuses Used To Miss Work by Activ Absence! Plan holiday easily in line with your department or team commitments. View the status of your holiday bookings and other requests. Easy access to your annual leave entitlement, days taken and records of any sickness. Bookings can be updated in your calendar in Microsoft Outlook, Lotus Notes, or Blackberry and other mobile devices. Carry-over any unused days at your year-end, if permitted. Record overtime and time off in lieu, if permitted. Quickly see who is currently on leave. Make informed decisions on staff holiday and absence requests with up to date information to hand. Approve or reject holiday requests or forward them to director level for final authorization. Record staff sickness and unplanned absence on behalf of employees. Receive updates immediately and view your department or team absences. Easy to configure trigger points that highlight issues with absenteeism that require your immediate action and support. Get a clear overview of staff resource availability to plan effectively for all absences in the company, department or team calendar. Receive alerts and generate reports on absence levels. Empower line managers to effectively manage holiday bookings, approvals, rejections and absence recording. Reduce administration burden that HR have in processing leave requests and calculating annual allowances. Below are some frequently asked questions for Activ Absence. Q. What type of pricing plans does Activ Absence offer? Q. Who are the typical users of Activ Absence? Q. What languages does Activ Absence support? Q. Does Activ Absence support mobile devices? Q. Does Activ Absence offer an API? No, Activ Absence does not have an API available. Q. 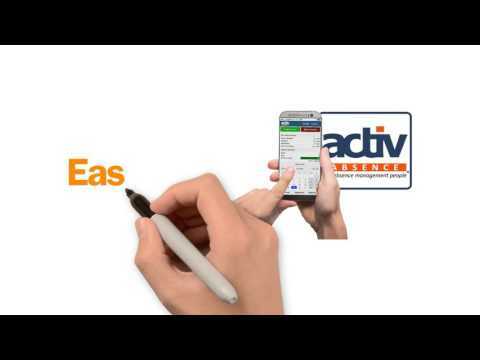 What other apps does Activ Absence integrate with? Q. What level of support does Activ Absence offer? Q. Which apps is Activ Absence compared to most often?